Flip a coin. If heads all of the defending pokemon is now burnt. If tails all your pokemon are burnt. Flip a coin. 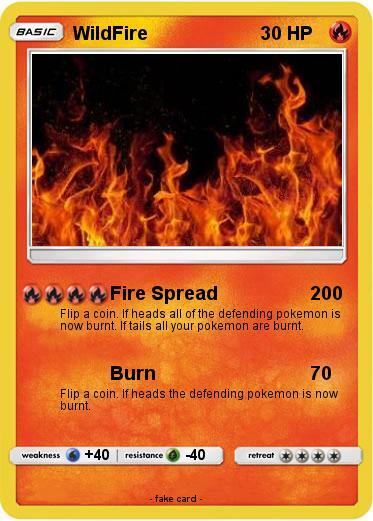 If heads the defending pokemon is now burnt.